Comes with gorgeous leather seating gold on beige. Want to have a 2006 Cadillac DTS luxury style at a great price, ice cold A/C, and only 107k miles then look no further. This vehicle has many cool features such as am/fm radio, climate control both front and rear, heated seats, auxiliary hookup, and much more. The DTS is in great condition both inside and out. So if you are ready to start driving come on by and check her out, call us at 757-420-2770. 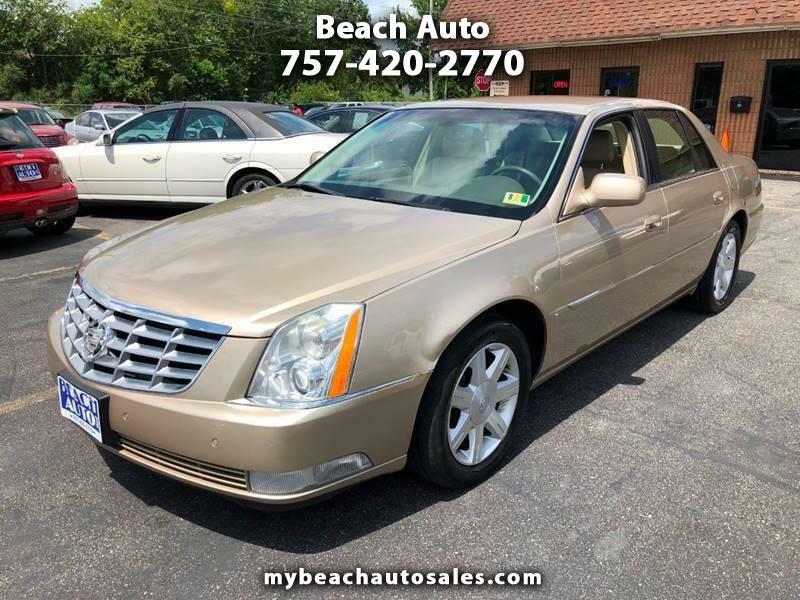 Visit Beach Auto online at mybeachautosales.com to see more pictures of this vehicle or call us at 757-420-2770 today to schedule your test drive.